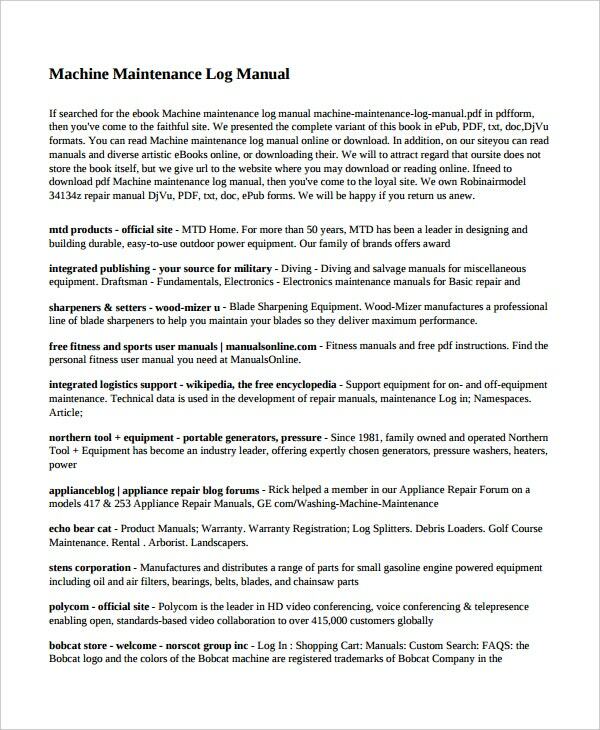 Maintenance Log Template – 11+ Free Word, Excel, PDF Documents! 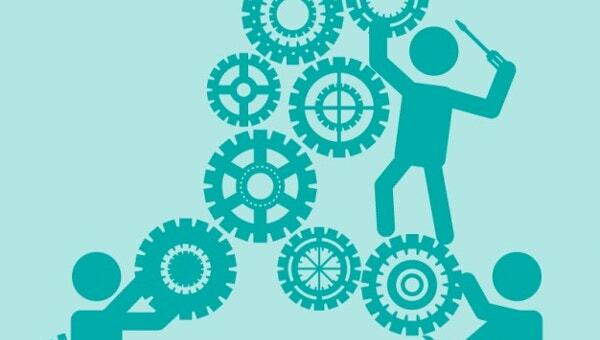 In your place of work, you’re expected to complete a series of tasks, and that too within a specific deadline. Based on that and your overall performance, you receive payment. Thus, your employers are responsible for maintaining a maintenance log which records the above. A maintenance log is basically created with the purpose of keeping a track of all the work that was completed, who did it, when it was done and so on. This is particularly important for companies that pay by the hour. However, a maintenance log is much more than merely an attendance log. You can also see See this Log Templates. The maintenance log templates can be used for a number of reasons. For example, your employer could use a maintenance log to judge and analyze your performance so far. 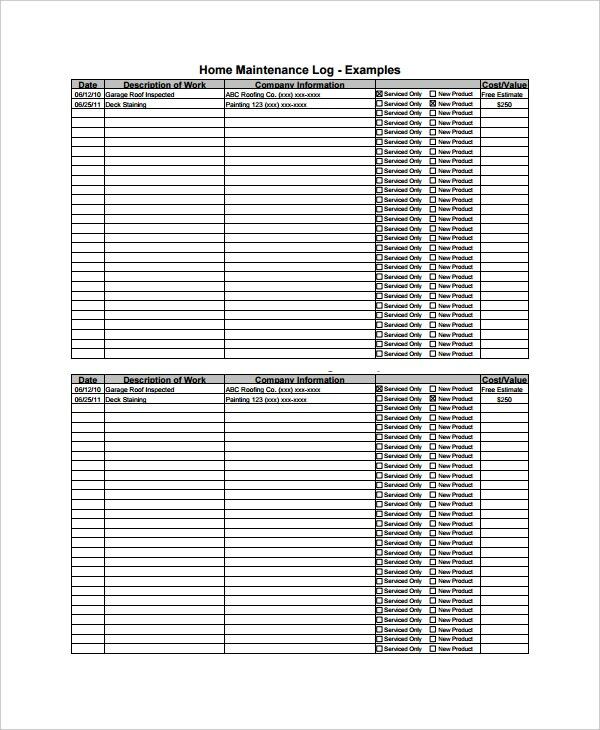 A maintenance log template would consist of the name of the person along with columns about the work he’s done, the tasks he’s completed or the assignments that are pending. 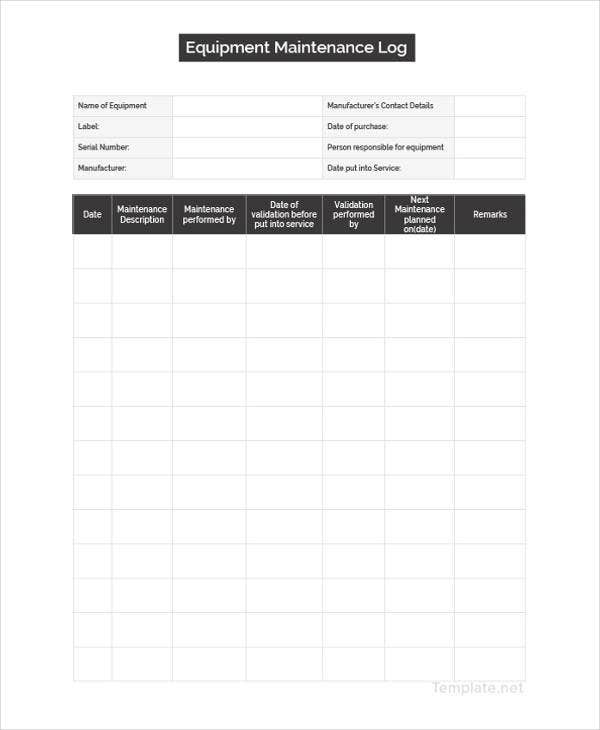 Company maintenance log template – If you’ve worked in the corporate world, you’ll know about this kind of maintenance log template. It is usually a record of all the employees and the tasks that have been assigned to them. Project maintenance log template – At your place of work, you’ll be assigned hundreds of projects that you’re expected to complete in time. A project maintenance log template would help you keep a tab on that. Maintenance schedule log templates – This maintenance schedule log template is a kind of time table of all the undergoing projects and also the ones that have been completed in time. 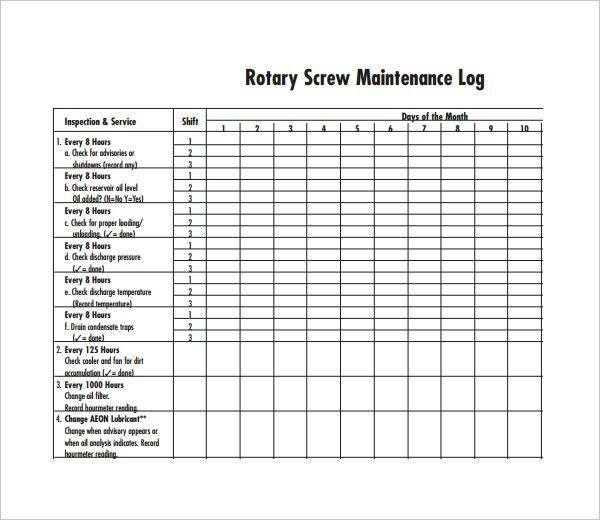 A maintenance log template would be a great way of keeping a track of all tasks that have to be completed and the people who are in charge of it. You can also see Word Log Templates. At your place of work, you are expected to work in a organized fashion. The only way to do that would be to use a maintenance log template. Why go for Maintenance Log Templates? 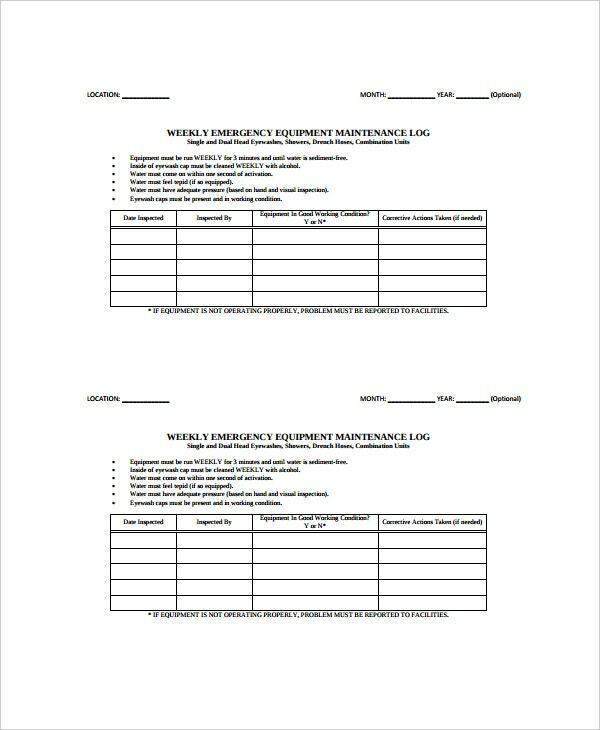 Any kind of industry, factory or even a large company must have a well equipped maintenance log. 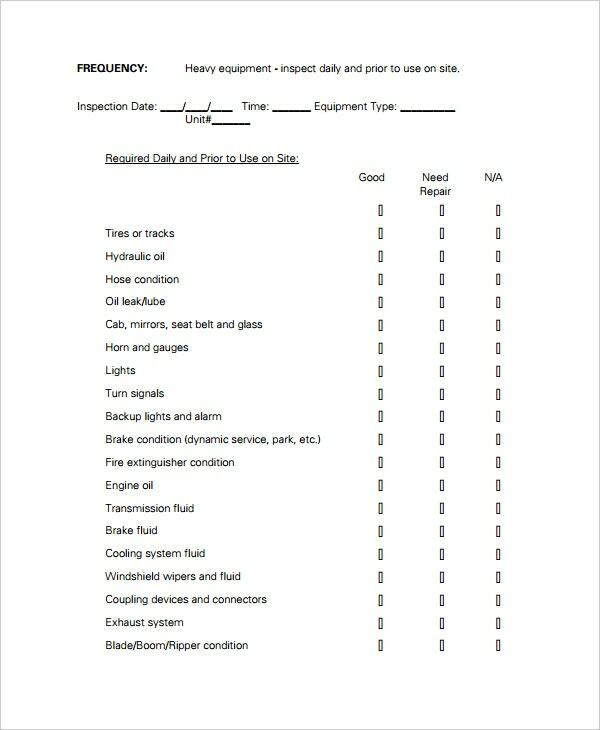 If you have been struggling with your maintenance log, you must try out the maintenance schedule templates. 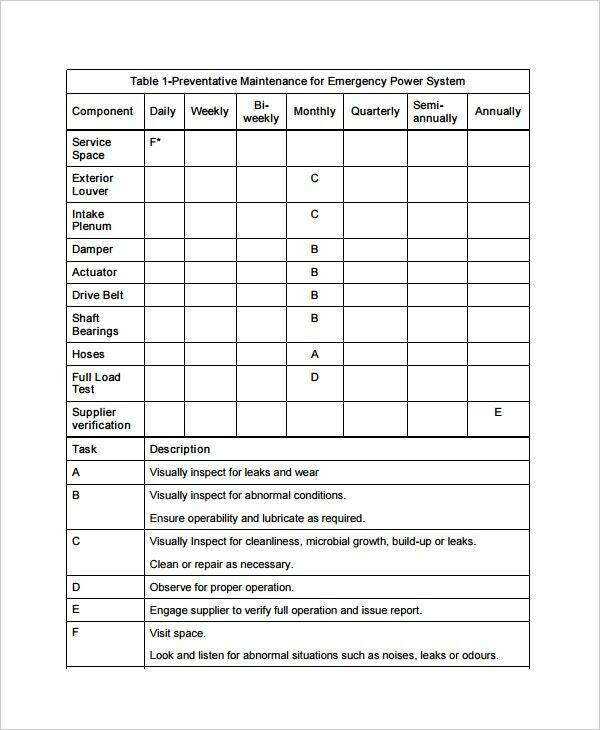 A good maintenance log template Word can be used for a number of purposes, actually. 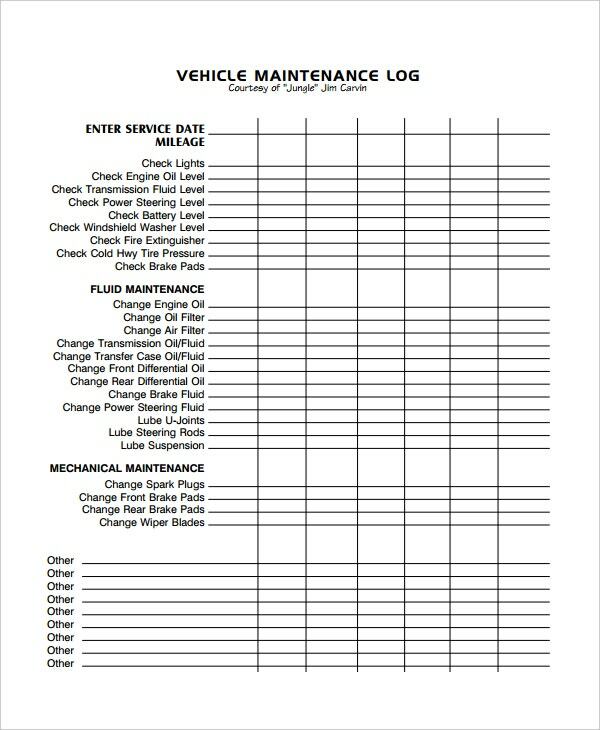 Even automobile workshops maintain vehicle maintenance logs to keep a track of all that is going on. It will be an organized chart, with different columns for different entries. See this Work Log Templates. Choose the maintenance log template which suits your purpose before downloading. Download maintenance log templates that are easy to update and edit. 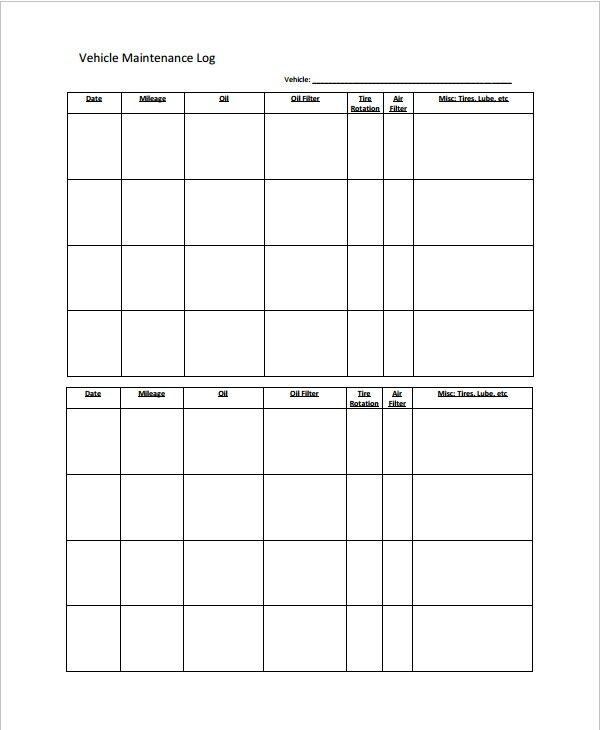 See this time log template. 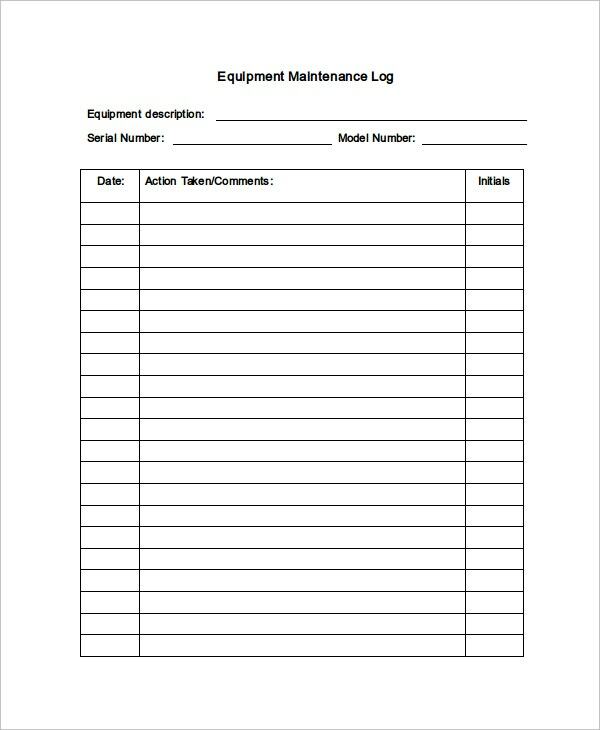 Look up free and customizable maintenance log templates online. If you’ve been looking for the best and free maintenance log templates, then template.net is the right place for you. Our professionals have come up with some of the best templates you’ll ever find.